Sister Dang Nghiem commentaries on the Tale of Kiều. Translated from Vietnamese by Sister Huong Nghiem. Thay Phap Dang offers guidance to to help us slow down, calm down and flush out unhelpful perceptions in order to wake up to happiness and a clear mind. Sr. Dang Nghiem reflects on her own transforming suffering, heartbreak, letting go and realizing better health & relationship to oneself & others. Sr Kinh Nghiem shares her own questions and answers about true love for ourselves and the other. Her reflections come from personal experience and current events. Brother Kai Ly shares about Bodhicitta, the mind of love. There are also several wonderful stories about how he met with Thay and the valuable lessons that he learned from these encounters. Dharma talk from Venerable Phuoc Tinh on the opening day of the Winter 2017-2018 Retreat. Translation by Sister Kinh Nghiem. Brother Phap Dung started with a talk for the children, please excuse us for not having the complete recording of this portion. Following this portion, Brother Phap Dung shares his experience of returning to the US during the 2017 US tour. During this question and answer session with Brother Phap Dung, Sister Huong Nghiem, Lyn Fine, and John Salerno-White we listen to seven questions. The date is September 16, 2017 at Deer Park Monastery. The retreat theme is Awakening the Source of Understanding. The retreat is part of the larger US Tour with the theme Awakening Together. 1. What are the forms/practices in our community that exists for shining eyes on something we witness? 2. Being angry/negative and the use of products like Nestle (which is used at the monastery). 3. How do we honor the tradition of our lineage and recognize and support multiple genders? 4. How do I better recognize and water the seeds of determination and practice? 5. What is the equality complex? 7. Needing support in finding my tribe, my sangha. How do I heal this sense of not belonging? 2017-09-15 Sister The Nghiem. This is It! This is the Second Dharma talk of the retreat offered by Sr. Thệ Nghiêm at Deer Park Monastery on September 15, 2017. Topics include Mindfulness, Concentration, and Insight and the Four Kinds of Nutriments. The retreat theme is Awakening the Source of Understanding. The retreat is part of the larger US Tour with the theme Awakening Together. This is the First Dharma talk of the retreat offered by Sister Dang Nghiem at Deer Park Monastery on September 13, 2017. The retreat theme is Awakening the Source of Understanding. The retreat is part of the larger US Tour with the theme Awakening Together. The Venerable shares his personal experience along with ancient Buddhist practice methods of successfully handling life’s changes and impermanence. Key components of this talk are creating harmony in relationships by first caring for our own body, mind and feelings. In described marriage ceremony, “mixing earth and lighting a candle” becomes a valuable metaphor of individuals coming together, transcending such differences as cultural backgrounds and race with right effort for a successful union. We are taught to live with greater happiness by having: faith, precepts/trainings, generosity and insight. The art of happiness is a skill that takes effort; much more effort than the art of fear, despair and anger. We are encouraged to begin practicing when we’re young, to learn and mature the practice of true love, known as the 4 immeasurable minds; cultivating love for ourselves and others. By learning to love ourselves when young, we can avoid the complex of inferiority and take better care of our body, and other 4 skandhas. We learn that deep feelings of self-care are developed during childhood with parental acts of unconditional love. Our self-care and happiness are gifts for those around us. Sister Kinh Nghiem offers meditation of the body. In this talk, Brother Phap Ho shares on the theme of this year's Wake Up Retreat, Loving Yourself, Healing the World. He talks about his personal experience with mindfulness, concentration and insight emerging in the light of the four elements of love. With our daily practice guided by the Five Mindfulness Trainings, we can create healing for ourselves, for those around us, and for the wider world. Enjoy. Sister Kinh Nghiem offers insights on cultivating true love using the Buddha's discourse on love, and including her personal experience. She offers guidance on being at peace by utilizing loving speech and having relationships with qualities of being upright, honest, just, and humble. Weaved within the talk are practices of having reverence for the other, watering each other's positive seeds, and letting go of pride. Practical ways of applying true love are offered by using the 6 mantras. Thay Phap Dang shares about the thresholds into our personal practice for joy, happiness and compassion. 2017-03-31 OI Panel: What is OI? The flowers are blooming in the hidden mountains of Deer Park. Much freshness and aliveness flows through the valley and this sharing. This is the second talk of the Spring Season offered by Sister Man Nghiem (Sr Brightness). This is a translation of Most Venerable Phuoc Tinh's talk on the last day of Winter Retreat. This is an English translation of the talk. Sister Mai Nghiem shares her practice of recognizing, embracing and transforming suffering. She also shares the teaching of the noble eight fold path, the four nutriments, including how different types of relationship are nutriments. From the moment i first heard the word, i got allergic to it...an ally allergy. Well, the first thing is that in my french brain, "les alliés", as we call them, are the good Americans and British soldiers coming to save us from the evil Germans. Word of war, violence, and partisan conflicts. But deeper than that, my brother, if you call me an ally, i'll get offended. 'cause i expect you, to have a higher expectation of me. I expect you to expect me to fully embrace who i am. I heard the Earth whisper one day, that "Fearlessness is not the absence of fear but the willingness to walk into it". Centuries of hatred, pride, discrimination, fear and violence. Who will hear our cries for help if not you? Who will quench our thirst for true amendment if not you? Who will deliver our souls from the chains of guilt if not you? Suffering will remain the world's pace". that promises to deliver our future". Brother Phap Ho is offering 6 classes during this winter retreat 2016-2017, on the first three foundations of mindfulness: body, feelings, mind. Below is a summary of the sixth class. The recording includes sharing and instructions, as well as practice and some questions and responses at the end. We hope you enjoy listening and practicing with us. In the third to last Dharma Talk for the Winter Retreat series, Thay Phap Dang shares about how we can return to the present moment, how to relax and encourages us to walk on the Earth. 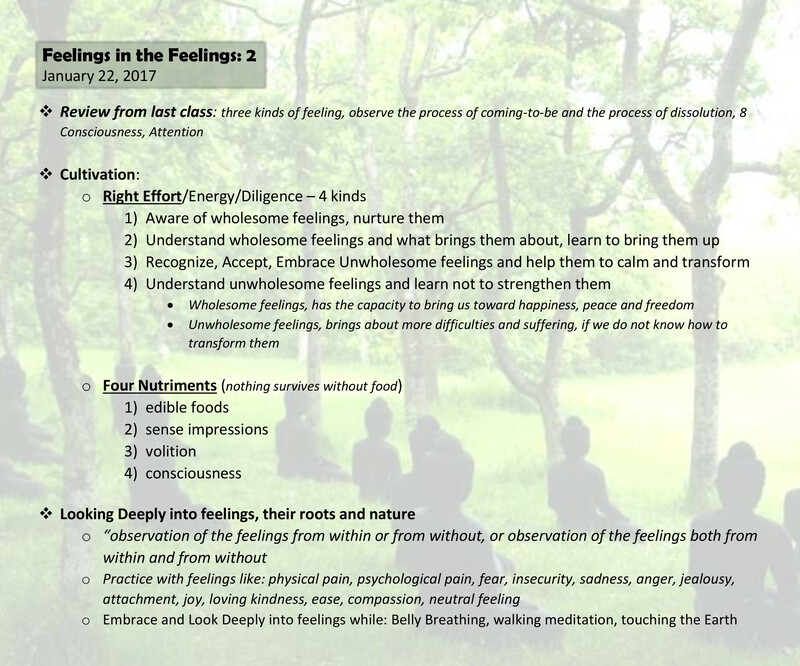 Thay also share about the realm of perception and how to practice to love and accept. How can we look at a person with clear awareness, without judgement, just as when we look at a flower? Find a calm place to listen to this talk, enjoy your breathing and the Dharma rain. May this sharing be of benefit. Brother Phap Ho is offering 6 classes during this winter retreat 2016-2017, on the first three foundations of mindfulness: body, feelings, mind. Below is a summary of the forth class. The recording includes sharing and instructions, as well as practice. We hope you enjoy listening and practicing with us. Brother Phap Ho is offering 6 classes during this winter retreat 2016-2017, on the first three foundations of mindfulness: body, feelings, mind. Below is a summary of the forth class. The recording includes sharing and instructions, as well as practice and questions at the end. We hope you enjoy listening and practicing with us. 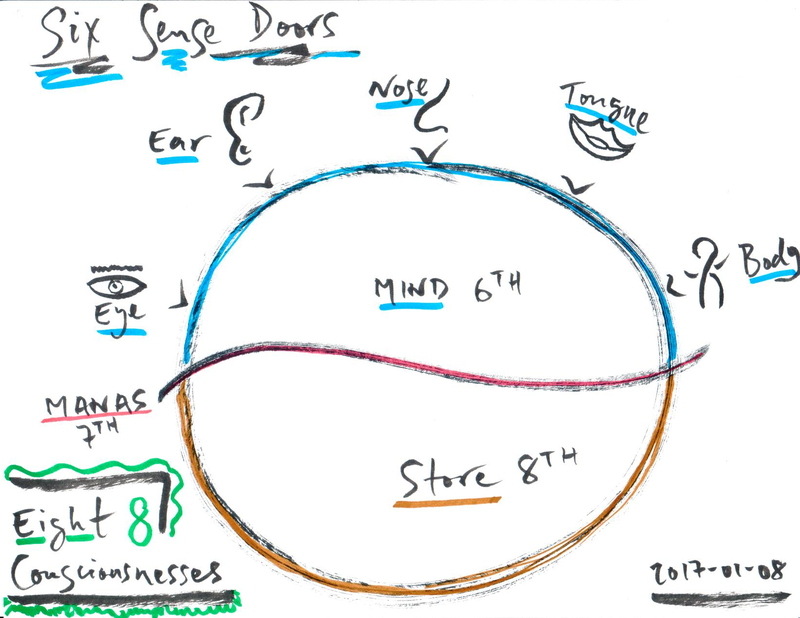 In this talk Thay Phap Hai shares with us how to enter through the door of signlessness in order to practice with perceptions and preconceived notions. Thay Phap Dang offers a beautiful and insightful talk with Emptiness (Sunyata) as main theme. As you listen to the Dharma Talk, allow it to wash over your like a sprinkling rain. Allow yourself to sit comfortably and follow your breathing, relaxing your body. May this talk and your practice bring about great benefit. Nurturing our Roots, Strengthening our Branches, this months focus is the present moment. In this talk Sr Kinh Nghiem (Sr Reverence) shares about the monastic practice of sharing a room, changing room and hamlets. Our sister use a Russian doll to help us go deeper into ourselves, to embrace our sorrow and to nurture our joy. As you listen to this talk you can enjoy the natural flow of your breathing in and out of your body. May this sharing and your practice be of benefit you in your daily life. 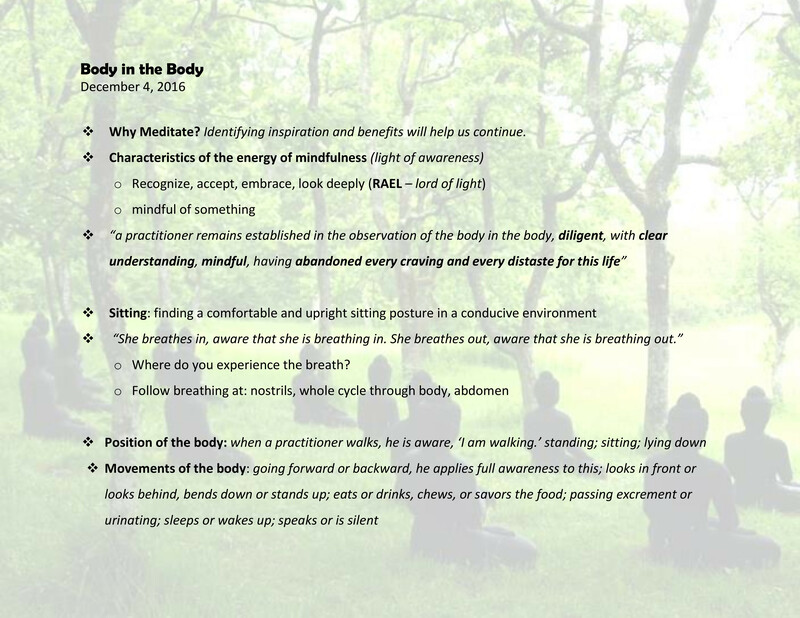 Brother Phap Ho is offering 6 classes during this winter retreat 2016-2017, on the first three foundations of mindfulness: body, feelings, mind. Below is a summary of the third class. The recording includes sharing and instructions, as well as practice and questions at the end. We hope you enjoy listening and practicing with us. This talk was offered by Most Venerable Phuoc Tinh during our New Years Day of Mindfulness. The Venerable's teaching invites us to experience life deeply and enjoy the wonders of spring every day. Như cũ am mây trang một chõng thiền. Sister Kinh Nghiem helped translate this talk. Brother Phap Don offers a peaceful and joyful setting for this talk. He shares his experience in arriving and enjoying each step as well as how to connect with nature for nourishment and healing. This talk is based in continuous practice, present moment, peaceful and happy dwelling. May this sharing be of benefit. This talk was offered in Vietnamese by Sr Truc Nghiem (Sr Bamboo) during our weekend with Order of Interbeing members of Southern California. It was translated by Sr Bach Nghiem (Sr Clarity). Our sister shares about how we can practice mindful breathing and stopping with the sound on the bell in order to nurture our calm and capacity to dwell in the present. She also shares how this ongoing practice can help us come in contact with and transform suffering deep in our consciousness. This Dharma Talk is the second for our Winter Retreat. The theme for the Sunday Dharma Talks this winter is: Nurturing our Roots, Strengthening our Branches - essentials of Plum Village Practice. Thay Phap Dang recently moved to Deer Park Monastery from Plum Village in France. Brother Phap Ho is offering 6 classes during this winter retreat 2016-2017, on the first three foundations of mindfulness: body, feelings, mind. Below is a summary of the first class. The recording includes sharing and instructions, as well as practice and a question a the end. We hope you enjoy listening and practicing with us. Enjoy 30 minutes silent sitting meditation with the Sangha of Solidity Hamlet. Br Phap Ho offers some introduction to sitting: following our breathing, as well as the Evening Chant. Talk from Winter 2016-2017 Retreat Opening Day. Translated by Sister Kinh Nghiem. Br. Phap Vu reflects on the 2016 US election, shares how to practice with its results and ends with a short question and answer session. 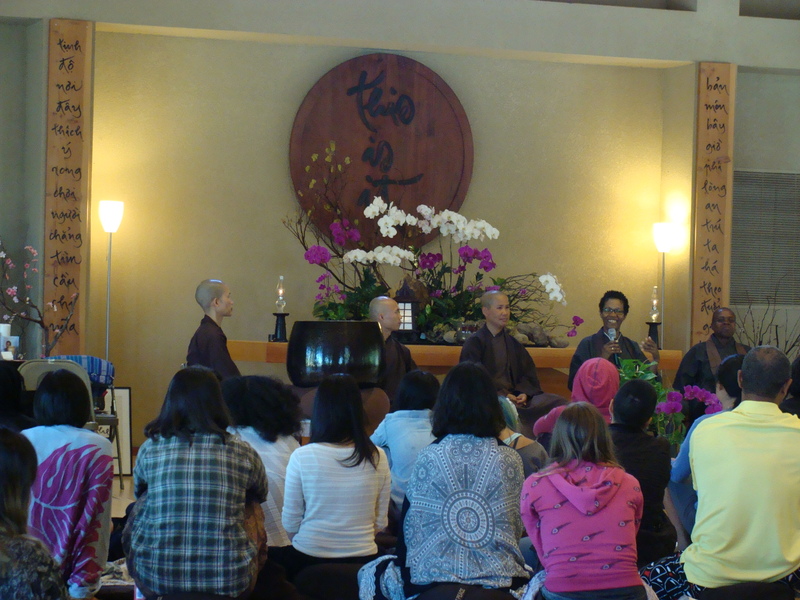 We are happy to continue sharing the Dharma talks from The Path of True Love: Healing Ourselves, our recent mindfulness retreat for People of Color. Rev. Zenju Earthlyn Manuel begins her talk by reflecting on her early encounter with Zen as a person of color. Rev. Zenju refers to people of color meditation groups as "cultural sanctuaries" and responds to the perceptions of these spaces as "exclusionary" and counter to "oneness." Rev. Zenju also presents the teachings on store consciousness and the direct experience of transformation when seeds arise. Rev. Zenju also reads selections from her latest work, The Way of Tenderness: Awakening Through Race, Sexuality, and Gender. We as people of color have specific spiritual work to contend with, and the term "people of color" suggests that work rather than the idea of separation based on skin color for the sake of harming those who are white---that is not the intention. The civil rights movement...it wasn't about us being able to sit at the counter in Newberry's to eat hamburgers...it wasn't just that. It was about love, creating love and seeing people as people and creating love and to rid ourselves of a consciousness of hatred. That's what that movement was about. Of course, we took some of the gifts that came out of that movement, the civil rights movement, but at the same time, it was still misunderstood that it was for one particular group of people when it was for the entire humanity. Let us now stop, listen deeply and contemplate these teachings and sharings to cultivate our individual and collective healing and awakening. To stay connected with Rev. Zenju, visit http://zenju.org/. Today, Rev. angel Kyodo williams offers a presentation and reading based on the newly published book, Radical Dharma. In this sharing, Rev. angel invites us into a long overdue conversation about race alongside love and liberation. As part of this conversation, Rev. angel speaks about the social construct of whiteness, while calling us back into our humanity and to be in touch with the "thing underneath the thing." "...we have the greatest potential to actually pull it up at its roots. Interestingly enough, we have that opportunity through this gift of the Dharma that actually invites us to be able to look with clear seeing eyes at things that are not real...that are figments of our imagination and figments of other people's imaginations...Race is a grand social figment." "As Dharma teachers, the way we survived the aggression and violence of a white dominant form of Dharma that was coming to us---is that we got underneath the thing. We got to the thing underneath the thing. We had to get down to who we really were. And simultaneously appreciate our teachers, our lineages, the texts as they were given but also have a fundamental trust in who we were in our basic humanity." "What does Dharma become when it's expressed through the experience of someone who lives in a Black body." Let us now stop, listen deeply and contemplate these teachings and sharings to cultivate our individual and collective liberation and great aspiration to strengthen the Beloved Community. To stay connected with Rev. angel, visit http://angelkyodowilliams.com. 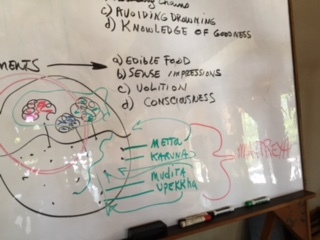 Today’s Dharma talk, entitled “Engaging the Five Mindfulness Trainings" was offered by Br. Larry Ward on the second morning of our retreat. 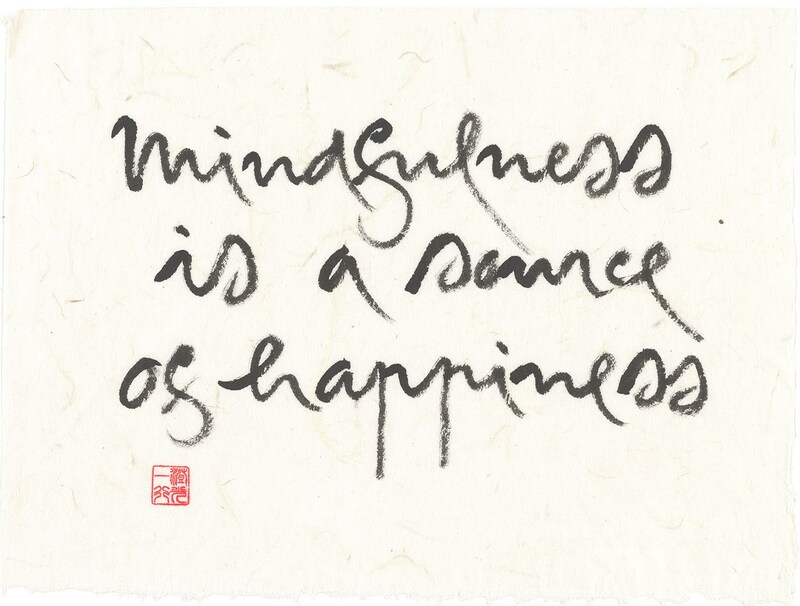 You can read more about The Five Mindfulness Trainings: The Path of Happiness here. To stay connected with Brother Larry Ward, visit The Lotus Institute http://www.thelotusinstitute.org/. "The calling of the Lotus Institute is to offer mindfulness teachings, principles and practices that encourage individual healing and transformation, professional growth, and development in ways that enhance planetary, social evolution." We are happy to begin sharing the Dharma talks from The Path of True Love: Healing Ourselves, from our recent mindfulness retreat for People of Color. Today’s Dharma talk, entitled “The Alchemy of Grief: Turning Suffering into Light" was offered by Br. Larry Ward on the first morning of our retreat. Welcome to the Deer Park Dharmacast - Dharma flowing from the Ocean of Peace. Today, we bring you Thich Nhat Hanh's new translation of the Heart Sutra as chanted by monastics at Deer Park Monastery. To read about the Heart Sutra and Thich Nhat Hanh's reasons for the new translation, head to the article at plumvillage.org. May this new translation bring us closer to clear understanding and may everything be illuminated. Before the talks of the Miracle of Mindfulness Tour, the monastics offered chanting in both English and Vietnamese. Today, we offer those to you. May they fill your heart with joy and peace. Today we offer a deep sharing from Brother Phap Ho as he sits with a flowing creek under swaying bamboo at Deer Park Monastery. The Earth Holder Sangha has been forming in North America in 2015 and is sprouting in other parts of the world. This is an outgrowth of the Earth Holding Here and Now Blog and the Theme Weekend on Earth Holding at Deer Park in 2013. We are thrilled to announce that Deer Park will host the first Earth Holder Retreat: For a Future to Be Possible, April 28 - May 1, 2016. Our brother invites us to awaken the Earth Holderbodhisattvas in our hearts -- seeing our connection with nature and the path of our planet with love and peace. Breathing joyfully with our surroundings, we can see truth more clearly. In the last podcast of the series on Full Awareness of Breathing, Brother Phap Dang shares the final three exercises. Our brother gently walks us into the deep teachings of non-self, non-duality, and letting go. We hope you have benefited greatly from the monastics that shared during the Miracle of Mindfulness Tour. Now enjoy this moment to stop and look deeply. This week we share the continuation of Brother Phap Dang's sharing on the thirteenth exercise of Full Awareness of Breathing. From his personal experiences with impermanence, our brother shows us clearly the value of letting go of our ideas and perceptions. May this sharing move us to recognize our clinging and suffering. This week we continue our series on Full Awareness of Breathing with Brother Phap Dang's final talk of the Miracle of Mindfulness Tour. Before delving into the last four exercises, he shares on both the deception of our perceptions and the bright light of insight. May this sharing lead you to the path of clarity. 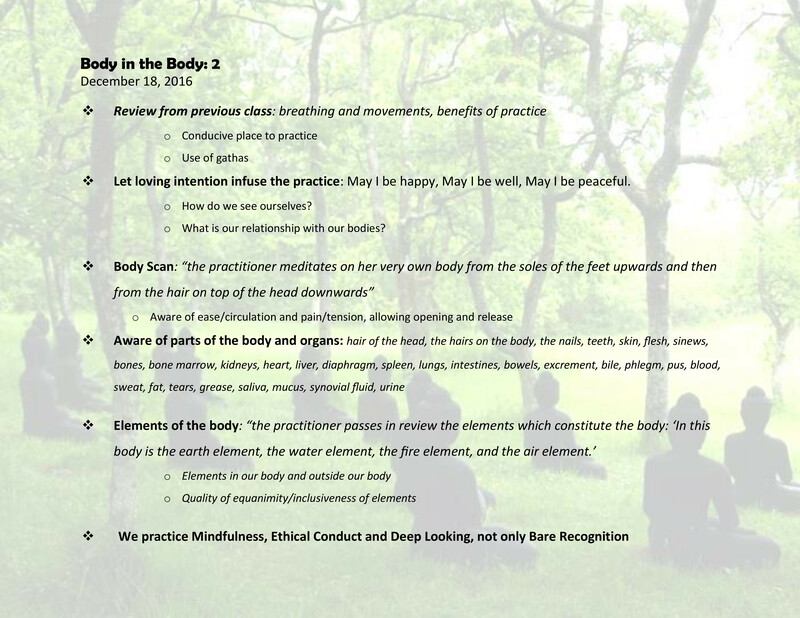 Today we continue Sister Tue Nghiem's talk on the mind and the exercises of Full Awareness of Breathing. She shares the next four exercises and the benefits of being aware of our mental formations. May this dharma rain water the seeds of confidence, strength and liberation for you and all those around you. Today we continue to share talks from the Miracle of Mindfulness Tour. Sister Tue Nghiem shares the Buddhist framework of the mind and mental formations. She invites to let go of our rigid perceptions of truth and embrace the mantra given to us by Thay, "Are you sure?" Today, we continue Brother Phap Khoi's talk from the Miracle of Mindfulness Tour. He shares the seventh and eighth exercises from the Full Awareness of Breathing: awareness of mental formations and calming our mental formations. In addition, our brother speaks about practicing in sanghas and how we can foster harmony. Continuing our sharing from the Miracle of Mindfulness Tour, today's dharmacast is from Brother Phap Khoi. Our brother shares the fifth and sixth exercises of Full Awareness of Breathing: cultivating joy and cultivating happiness. May this Dharma taught by the Buddha and our teacher, Thay, water the beautiful flowers in your heart. This week we continue with Sister Dang Nghiem's sharing on the first four exercises in the Buddha's teaching on mindful breathing. Dwelling in the body grounds us. With our breath, solid concentration and kind relaxation, we can begin to walk towards freedom and begin deep healing. This week we share with you the first part of Sister Dang Nghiem's talk from the Miracle of Mindfulness retreat. For the children, our sister gives a teaching on patterns in nature and in our families. Then with the adults, she illuminates the ordinary nature of mindfulness in our everyday lives. The interbeing of all things comes to light as she prepares to discuss the Buddha's teaching on awareness of breath. This week we continue the orientation sharing at the recent retreat. Sister Tang Nghiem tells the story of the Buddha's first teaching with children when they named the Path of Awareness. The way we enjoy our breath, our silence, our steps and our sitting meditation are all steps on the path. May you find peace and many friends along the way. This week we share with you the first half of the retreat orientation with Brother Pháp Trạc. He invites us to listen to the bell, let go of our worries and eat with mindfulness. Whether you were at the retreat or were halfway around the world, allow yourself to begin your own retreat, wherever you are. Today we continue a talk given by Sister Hang Nghiem. She offers The Four Diligences as a way to practice taking care of the seeds in garden of our mind. So often we are concerned with the seeds and gardens of others; our sister reminds us to take time to recognize and tend to our own seeds. Today we share a talk given by Sister Hang Nghiem. She offers practical advice on how to practice -- by closing our eyes a little bit. In a literal sense, when we can do this during sitting meditation and when we have difficult emotions, but also figuratively when we are going about our daily lives. May we recognize our limits and take good care of ourselves. "Whenever I interact with anyone, may I consider myself as lower and from the depths of my heart may I consider the other person as a treasure." "In everything I do, may I look deeply into my mind and as soon as I recognize a mistaken view that endangers myself or others, may I practice diligently to embrace and to transform it." In addition to the podcasts, which are usually offered as 30 minute sections of talks, we wanted to offer full length talks as requested by some Dharmacast listeners. This is the second talk in a series of talks on the Eight Verses of Mind Training by Brother Phap Hai. This is the full talk for those who would prefer to listen to talks in their entirety. Today we share a talk by Brother Phap Hai. He shares insights on our culture of consumerism and discusses how it applies to our practice. Over our time as a practitioner, we may have accumulated some layers of practice. Our brother encourages us to let go of these layers, these formalities and return to the essence of our practice. Today we continue Brother Phap Hai's talk from Deer Park Monastery. 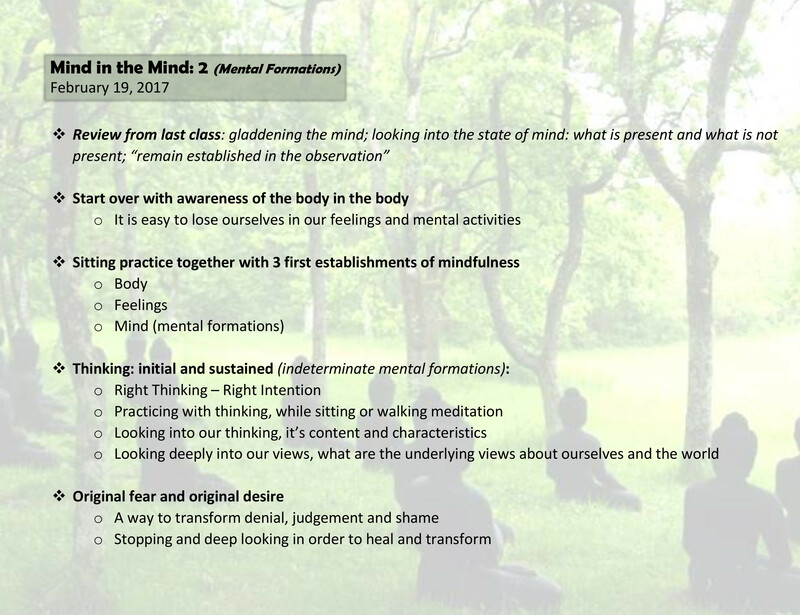 He introduces The Eight Verses of Mind Training to help us practice and transform. Over the course of the next few months, our brother will offer all the eight verses for us. Today, the first verse: "May I always cherish all sentient beings and consider that compared to a wish-fulfilling jewel, they are far superior for liberating my heart." 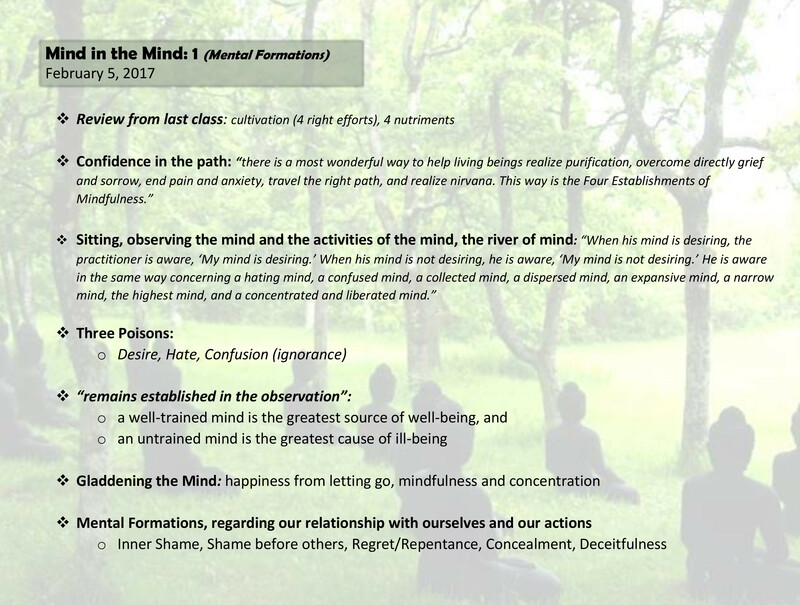 Brother Phap Hai is offering a series of talks on the Eight Verses of Mind Training and we felt it was a good place to start offering the full talks for those who would prefer to listen to talks in their entirety. Today we share a talk by Brother Phap Hai, shortly after his return to Deer Park from Europe. Our brother reminds us of the the meaning of the word: gratitude. To feel gratitude is to know what has been done for us. May we look back and look inside to remember. Today we continue to share a talk given by Sister Man Nghiem at the recent Wake Up retreat. Our sister reflects on the idea of building our true home and asks us what we have chosen to build that home out of. Knowing to nourish ourselves with the Four Nutriments, we can build a solid home to withstand huffing and puffing from anyone and anything outside. To hear more about the Wake Up movement, go to wkup.org. 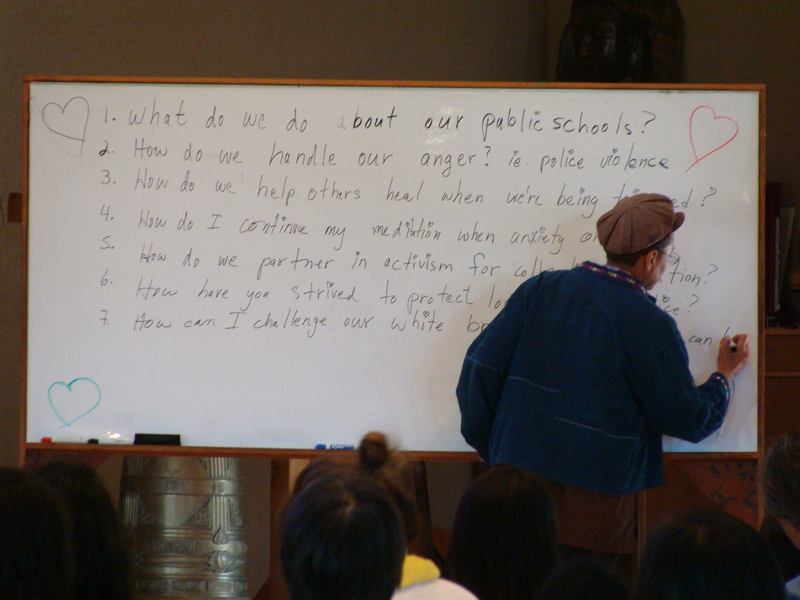 Today we share another dharma talk from the recent Wake Up retreat for young people. Sister Man Nghiem reflects on how her definition of happiness has limited her actual happiness. She shares stories of her journey to realizing the Four Noble Truths, or as she calls them, The Fabulous Formula. For more on the Wake Up movement, go to wkup.org. Today we share the second half of a talk given by Brother Phap Ho at the recent Wake Up retreat for young adults. Our brother speaks to the beginners and those with Beginner's Mind as he introduces concepts of the practice: mindfulness, concentration, insight, aimlessness, impermanence, and interbeing. To hear more about the Wake Up movement, go to wkup.org. Today we share the first half of a talk given by Brother Phap Ho at this year's Wake Up retreat for young adults. Our brother shares about his early childhood heroes and how, for him, heroism is different from what's portrayed in popular media. We can be heros for the ordinary things we do in extraordinary ways. For more on the Wake Up movement and to find a local sangha, go to wkup.org. Today we share a part of a talk given by Brother Phap Lieu at Deer Park Monastery. He shares from him monastic experience about the sangha. As a lifelong partner to us, the sangha can support us in difficult times and encourage us to keep each day fresh and new. Today we share part of a talk given by Brother Phap Lieu in early April. He delves deeply into the research on our habit energies: the cues, cravings and rewards. With greater understanding, we can see ourselves more clearly and deepen our practice. Today, we finish a talk by Sister Truc Nghiem and translated by Sister Bach Nghiem. Our sister shares her experience with her aging body and specifically the poignant experience of seeing her own heart beating. Seeing our situations clearly is a tremendous gift and a continuous practice. Today we continue a talk by Sister Truc Nghiem and translated by Sister Bach Nghiem. She focuses her sharing on our capacity to be a refuge or a safe harbor for others and for ourselves. When storms come into our lives, let's know to bring our boats to safety. Today we share a talk given by Sister Truc Nghiem and translated by Sister Bach Nghiem. In the beginning, the monastics chant a poem written by Thay. Then our sister reflects upon our ability to stop and discover the inner Buddha within. She invites us to welcome all that has always been there. Today we share songs of appreciation for our loved ones. At a recent Day of Mindfulness, Brother Phap Ho shares a song by an late friend of Deer Park Monastery, Dennis Howard, and then, two monastics perform the Vietnamese song written for Thay's poem, A Rose For Your Pocket, a tribute to mothers. May these songs stir gratitude in your heart. At a recent Day of Mindfulness, Brother Phap Ho shares how he spent his recent Lazy Days. These days are designated days of relaxation at the monastery when there is no schedule of practice for the monastics. Our brother finds that with the freedom of Lazy Days come the opportunity to discover rich teachings. Today we offer a guided meditation, practice song and chanting with Brother Phap Ho. We hope you find the dharma in the words, the music, and the silence. Today we offer an introduction from Brother Phap Don to the basic practices of mindfulness when on retreat. Let us return to our beginner's mind and take refuge in the presence of Deer Park Monastery. Whether you are near to the monastery or far, know that the Dharmacast, the monastery, and the Dharma, are always here for you. We're taking a break this week! We're taking a break this week! Our staff is going sailing/opening a new theater show/etc. What are you doing? Let's all take a break together! Today we offer a sharing by Sister Man Nghiem and Sister Nho Nghiem at last year's teen retreat at Deer Park Monastery. In wonderfully clear language, they share their own refreshing experiences with the Beginning Anew practice taught by Thay. As teens or adults, we can all practice loving speech and deep listening for the benefit of everyone around us. Today we share a talk by Sister Tuong Nghiem and translated by Sister Tinh Nghiem. As a young monastic, our sister remembers that it was not easy for her to practice mindfulness in midst of difficulties. She shares conversations she had with Thay when she felt overwhelmed and her own insights into how we can stop, breathe, and see our difficulties clearly. It is not always easy; and that is ok.
Also from the online sangha this week,we invite you to join an online, televised panel discussion about Sister D's new book, Mindfulness as Medicine. I'll be talking with Jason Kim from Parallax Press and Nadia Coburn from Anchor Magazine. You can write in questions for us live during the one-hour program, Tuesday at 9am Pacific. Or of course, watch it online later. To connect, go to bit.ly/sisterd. We'll see you there! Today we share a talk by Brother Chinh Quang (aka Brother CQ) given at Deer Park Monastery. He reflects on his journey to become a monastic and the challenges he faced along the way. We all face difficulties on the path of practice. In his sharing, our brother encourages us to be aware, with each step, that we have the opportunity to transform our volition and to change our direction. Today we share a dharma talk given by Brother Phap De at Deer Park Monastery. Our brother shares on the importance of brotherhood, sisterhood and Engaged Buddhism in our practice. Through sangha and action, we are sure to become Thay's continuation. Every year on Lunar New Year's eve, Thay recites a poem and gives a dharma talk with insights into Vietnamese poetry, culture, and tradition. This year, as our teacher receives treatment in the hospital, Venerable Thich Phuoc Tinh continues the tradition. He recites a poem of Thay's and gives us a rare glimpse into the life of our teacher. Clouds softly pillow the mountain peak. The breeze is fragrant with tea blossoms. The joy of meditation remains unshakable. The forest offers floral perfumes. fog wrapped around the roof. With fresh laughter, we bid farewell. watching a dream as generous as the sea. A flicker of fire from the familiar stove warms the evening shadows as they fall. I bid farewell with a peaceful heart. The affairs of this world are merely a dream. Don't forget that days and months race by as quickly as a young horse. The stream of birth and death dissolves, but our friendship never disappears. Today we share the orientation for retreatants at the Holiday Retreat. Brother Phap Hai shares how they enjoy their practice at the monastery. They invite us to stop our habit energies and start monotasking -- as we breathe, walk, eat, and act. May these gentle reminders fill your life with the spirit of refuge at Deer Park Monastery.